Allright, so this is my list of my top album releases of 2008. I’m only one human, so I can only purchase and listen to so much music. So if there’s something I’m missing or if you want to put your own list together, pony up in the comments section. This is it people. This is the one album in my humble opinion that is a must have from 2008. This follow up album to their first release Ghost Town is about as good as it gets. It is one of the most important bluegrass albums to come out in decades if you ask me. In a time when hippie newgrass pseudo folk bands control the genre, this album is straight forward REAL bluegrass. The .357 String Band has done to bluegrass what Hank III did for country. These are top notch musicians and excellent songwriters in the essence of their craft. This album also saw the emergence of Joe Huber as one of the best bluegrass songwriters I’ve heard. I put these boys up with the greats of bluegrass music like Bill Monroe and Jimmy Martin, no kidding. Detractors, get over it. This is no Straight to Hell but is soon as you get over that you’ll discover this is a great album with great songs, and is a must have in your music collection. “Stoned and Alone” is a masterpiece, “Long Hauls Close Calls” is the best song ever written by Hank III, and there’s a slew of other sing alongs that grow on you the more you listen. Sorry, I got no link to where you can buy or download this puppy, so you’ll have to wait until Bob Wayne and the Outlaw Carnies come to terrorize your town and belly up to the merch table. But it’ll be well worth it, because Bob Wayne is a madman live, and is THE BEST songwriter of the Underground/Outlaw country movement, hands down. I also want to shoehorn a mention here that I saw Bob Wayne play on Saturday, and man, what a show. Better than the first time I saw him, which I wrote about HERE. I also got to meet one of my readers that was on board literally in the first week I started, and a fellow fighter with the pen, and the mastermind behind Devil Cool Magazine . This 2 CD with a DVD set is the proverbial motherload for any Johnny Cash fan. All the classics, and new songs, covers, and commentary. The DVD is a documentary about his legendary Folsom Prison show in 1968. There’s a great trailer you can watch about it by CLICKING HERE. You know if Those Poor Bastards are going to put out an album, I’m on it like a duck on a June bug. As the Kings of Gothic Country, this is a band that is accessible to a lot of people who may not be into traditional country. Really they’re as similar to someone like Tom Waits as Johnny Cash or Hank Williams. And hey, they’re touring with Hank III this Spring. Hank Williams: The Unreleased Recordings (Mother’s Best) is no replacement if you can get your hands on the bootleg copies, but there’s a lot of great vintage music there. Also Justin Townes Earle put out his first CD this year, The Good Life through Bloodshot Records (same label as Wayne “The Train” Hancock and others) that didn’t wow me, but it had some good songs, and a great vintage tone that I like. Also I know Split Lip Rayfield put out a new CD that I haven’t heard yet in full. So that’s my picks. What do you think? Triggerman… pretty good choices… here is my two cents if you dont mind…. 1.) 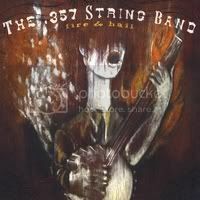 I completely agree with you on the .357 StringBand album as the best of the year. I said the same thing when we interviewed the band on one of our episodes. You got it BRO on this one. 2.) 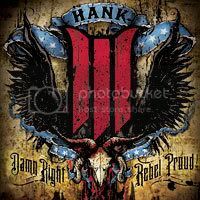 HANKIII- we will give Hank3 the second slot as well. It was a great album and well worth the wait. I commend you for having the balls not to automatically put it as #1. Hank is always going to put out a great album but .357 really put a little more into their album. 3. )I got my Bob Wayne CD’s today so I gotta put a listen to it. I have to put Justin Townes Earle’s album was amazing and it is going to go in my number 3 spot. The kid has amazing writting ability and a voice that can really bring chills to your bones. Very versital album as well. ** As for the SLR CD… now everyone that knows me knows I am a HUGE fan of the band… have been for about 5 years now. The latest album is great but it was obvious of the talent and contribution of Kirk Rundstrom is missing in the new album. If you like SLR then get the CD.. its still killer.. but dont compair it to any other of their CDs. ** My Hank Sr CD’s are on their way but any Hank is top notch Hank! 1.) The Meat Purveyors: Come And Take It (at bloodshotrecords.com) the band got back together and made a 7 song CD. These guys/gals are still one of the best bands out there. 2.) Star Anna: Crooked Path (at Malamute Records) She has an amazing voice and has some great lyrics… she sums it all up with the tattoo on her forarm… what matters most is how well we walk through the fire. There are many many more but off the top of my head these are the albums that have made a difference in my life in 2008 and that is what it is all about. My Justin Townes is on the way, so I was a little hesitant to put it too high until I’ve given it a full listen. Same with SLR, all I’ve heard is on MySpace and YouTube. They are on the top of my list for bands to check out. And the Meat Purveyors, I’ve heard them on the show, and anything Bloodshot touches is usually gold, so they’re on the list to check out.